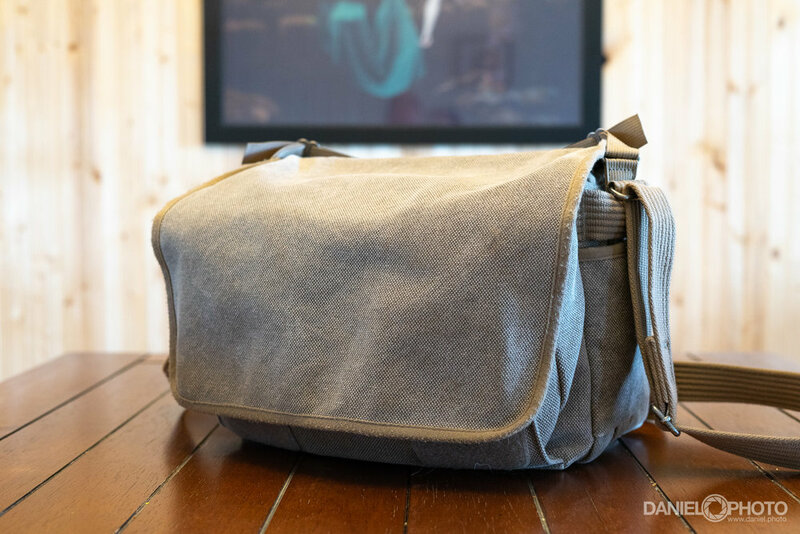 I've had the Think Tank Retrospective 7 bag for over two years now, so I figured it was about time I wrote about it. Since I was taking pictures of the bag for this post, I decided I'd throw in the obligatory "What's in my bag" post, as well. My main problem with bags (other than I have way too many,) is that it's almost impossible to find one that covers everything. My basic requirements for an EDC bag are that it holds my camera and at least one extra lens, and my iPad. But I have the 12.9" iPad Pro. With a Logitech "Slim" combo keyboard case. So it rarely fits in the bags designed for 13" laptops. And I hate large bags. I have a big Manfrotto bag that I sometimes use when flying so I can fit my laptop and camera in one carry on. But I don't want to haul that thing around everywhere on a regular basis. I like the look of ThinkTank's Retrospective series. My former EDC bag was a black LowePro bag, so I wanted something that looked less like a camera bag. 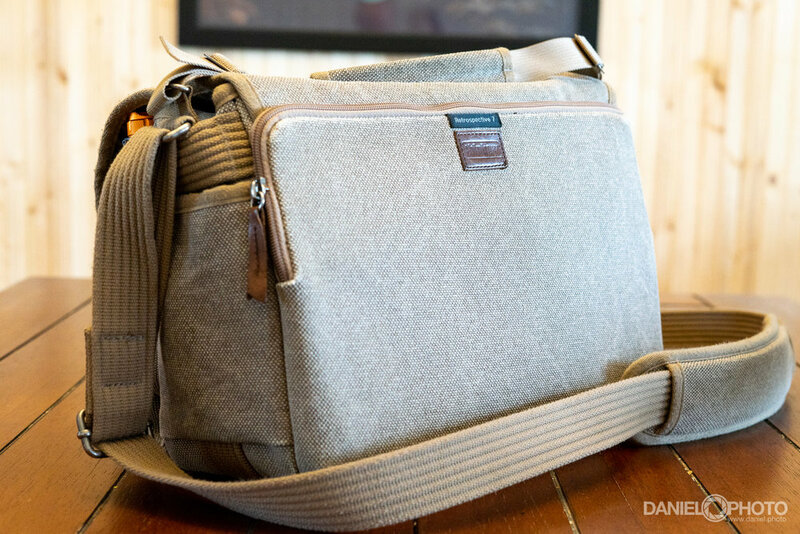 I'm not sure I'm in love with the "Sandstone" color of this one, but at least it doesn't totally look like a camera bag. Fair warning, though--your friends might make fun of your satchel. Let 'em. The Retrospective 7 has proven to be well constructed. It's been tossed in my truck, drug around in and out of town, and stuffed to the gills, and not a single stitch has come undone. Nothing has ripped, stretched, or broken in the two years I've owned it. The dividers, while not as inventive as Peak Design's, are easy enough to take out and reconfigure. 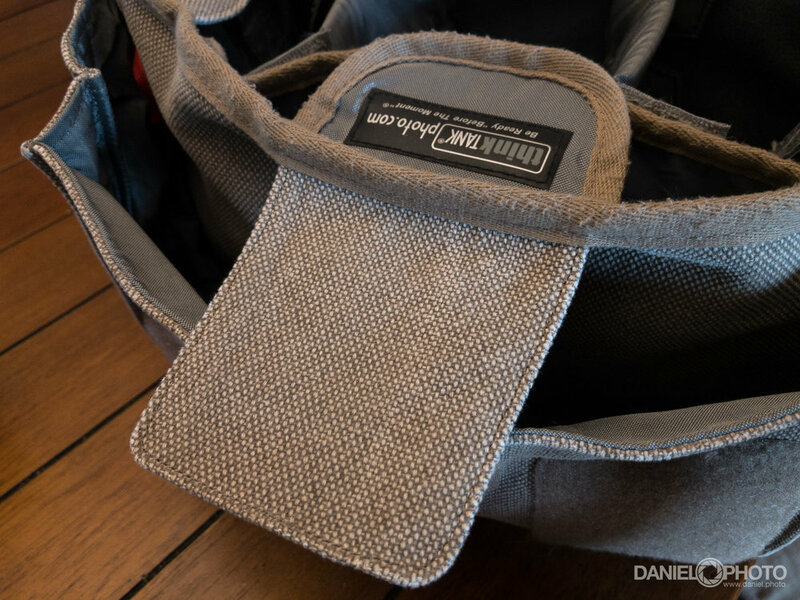 The velcro sound silencers on the main flap have proven to be useful. I don't cover them completely, because I want the top to be somewhat secure, but I don't really need to use the entire velcro surface. The way they're designed allows for options. And options are always good. 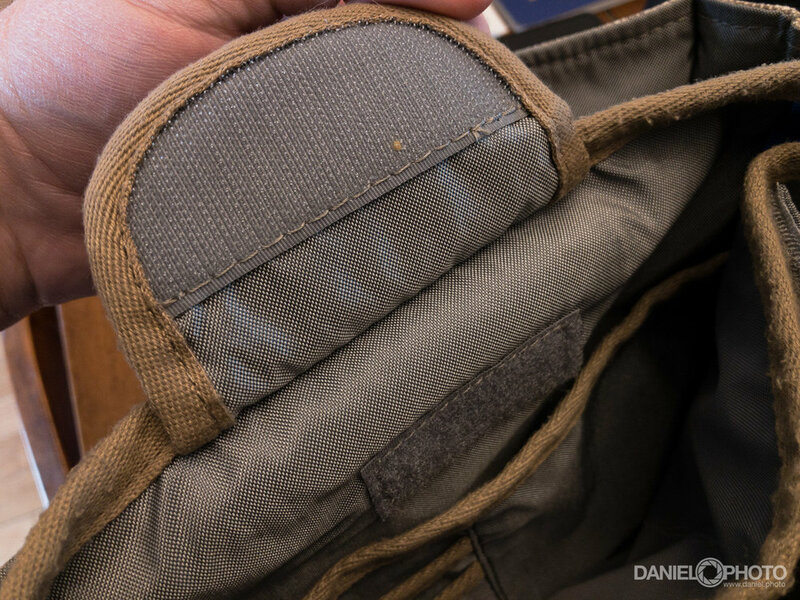 The velcro flaps on both the inner and outer pocket can be attached to the inside of the pocket itself, allowing for more easy access to the pockets. 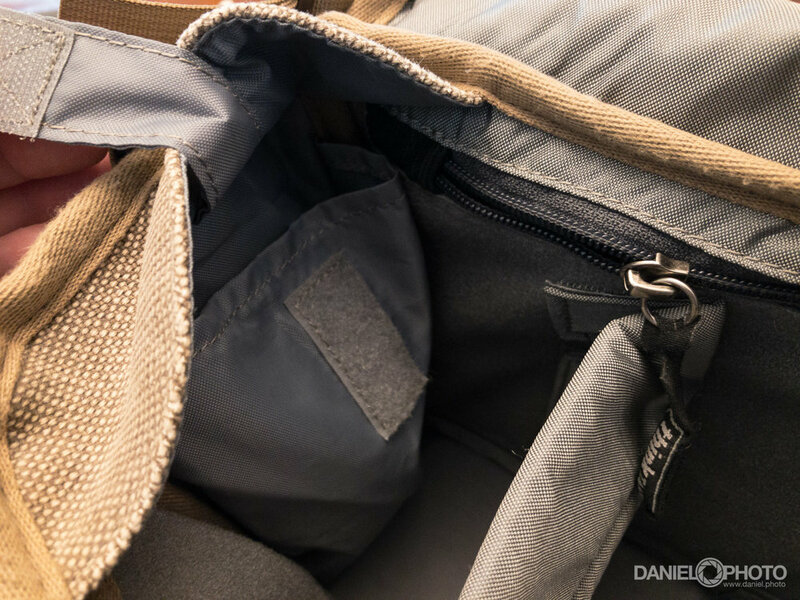 The outer pocket expands--a lot--so if you really need to pack your speedlites, they'll fit. 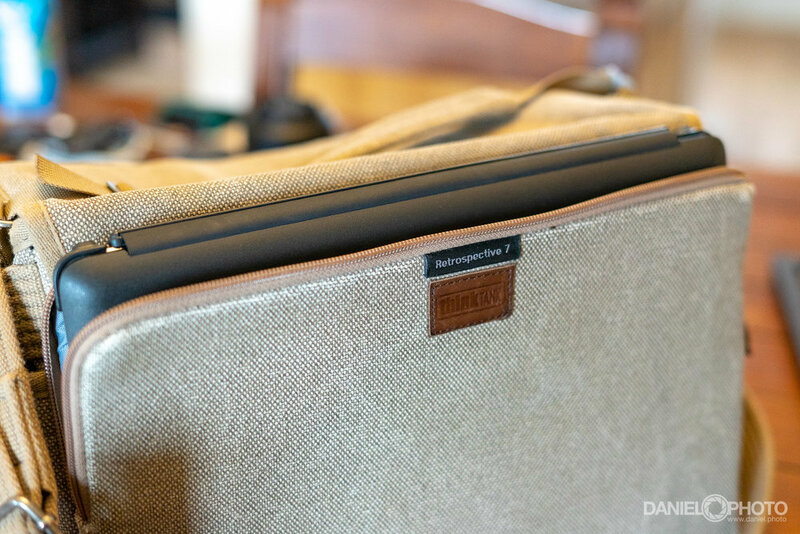 There's a semi-hidden flat pocket in the back of the interior that is great for passports (brewery or otherwise,) and two side pockets in the main compartment that work great for larger USB battery packs or Kleenex. I haven't found the exterior side pockets to be useful. They are too small to hold a water bottle or my phone (with a fat case,) but maybe a folded map (do people still use those?) would fit. In a pinch, I can fit my Sony A7ii with an attached 50mm lens, my Mavic Pro, and the Mavic controller in the inside compartment. Batteries, etc., fit in the expandable front pocket. It's versatile. As far as being weather-proof, I carried it for a year in Portland rain, and my gear never got wet. Recently, I carried it on a boat, watched water getting splashed on it, and my gear was still dry. It's not waterproof, but water does seem to bead and roll off the fabric pretty well. The one down side--and it's a down side for all bags this size--is that my iPad doesn't fit perfectly in the laptop/tablet pocket. I mean, it fits, but it doesn't zip. Same with my work laptop--a 13" HP x360. It too fits, but doesn't zip. It's not a huge issue if I'm careful, but it would be pretty easy for someone to stroll up next to me and pull the tablet or laptop out. If you have a normal-sized iPad with a small or non-existent case, it would fit. If I ever carry my Surface Pro (which is rare,) it fits, and I can zip it up. Think Tank states that it will fit a 10" tablet or a 12" laptop, so I'm actually pretty pleased the iPad Pro fits at all. Two years is a long time for me to keep using a bag. I generally get bored, or need something the bag doesn't have. The fact that I'm still packing this thing around says a lot for its quality and versatility. When I moved back to Montana, I picked up a Peak Design backpack, but that's only because I needed something that was easier to hike around with. The Retrospective is still my EDC. So what all do I carry around on a daily basis in this bag? 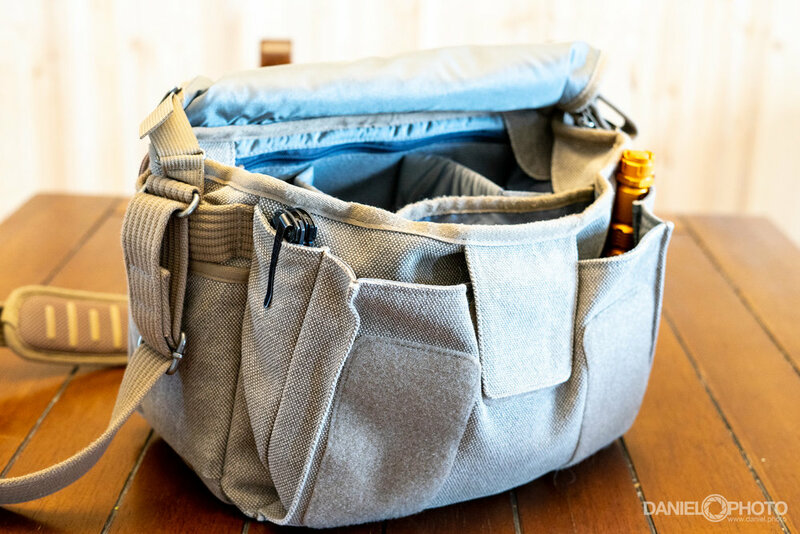 If you're looking for an EDC bag, I can't recommend this enough. 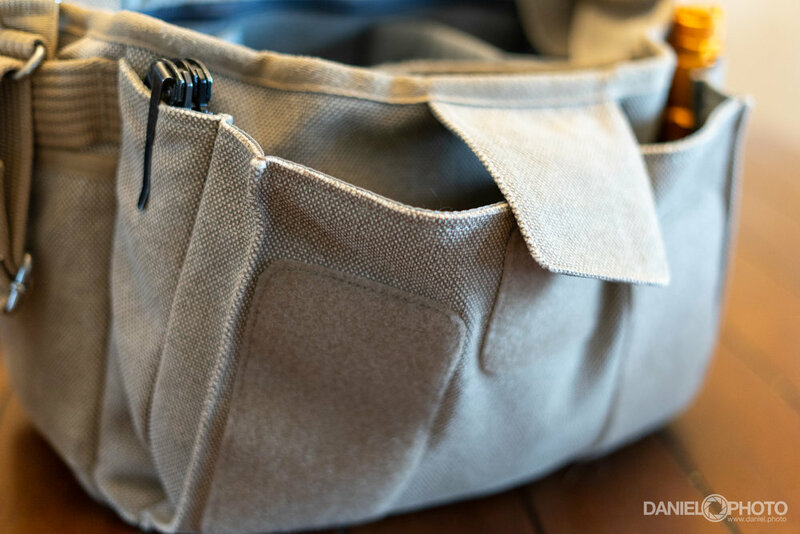 It's a well-designed and constructed bag at a decent price. Side note #2: Apologies for the dirty table. Never buy a table with these little grooves in it. They're a pain to keep clean.